Chronicles of the Vorpal Chainsword begins! When it comes to D&D, I haven't run anything other than an over-the-top one-shot games in a long time. Its just so easy to keep on prepping terrain and painting minis and never stop, as the ideas keep rolling in even as the original stuff you wanted to make for the game gets finished. So often I'll just keep building and prepping for a one-shot until something actually forces the stars to align and I finally admit its ready to run at a convention or wherever. However, a couple of my local gamers talked me into actually starting the 5th edition campaign I've been thinking about, and against my instincts of saying: "I want to play 5th, but first let me build the village and orc keep, should only take a couple more weeks..."
Instead I said: "Sure! Come over at noon. Here's the title of the Adventure we'll be playing..."
Carnage of the Blade Demons! ...the thing is, I don't actually have an adventure written yet (nor have I completely worked out what the 'Blade Demons' are going to be). But I believe that the first step of writing an adventure is coming up with an epic title, so I randomly put three words I thought were cool and mashed them together, which I think sounds pretty solid. Step one completed. So now I've got three hours, the new DMG and its random dungeon-building tables, and all the terrain and minis I've built/painted over the last ten years. We'll see how it goes. In my next post I'll let you know what I rolled up using the DMG, how I interpreted those results into the adventure, and how it ended up working out. But for now ...I'd better get rolling! Netflix has released a lot of stuff into the interwebs recently, and I would be amiss if I didn't let you know about at least a little bit of the good along with all the bad. And in this case, the subject has kind of a 'so-bad-its-good' vibe to it so I think it still fits the theme. 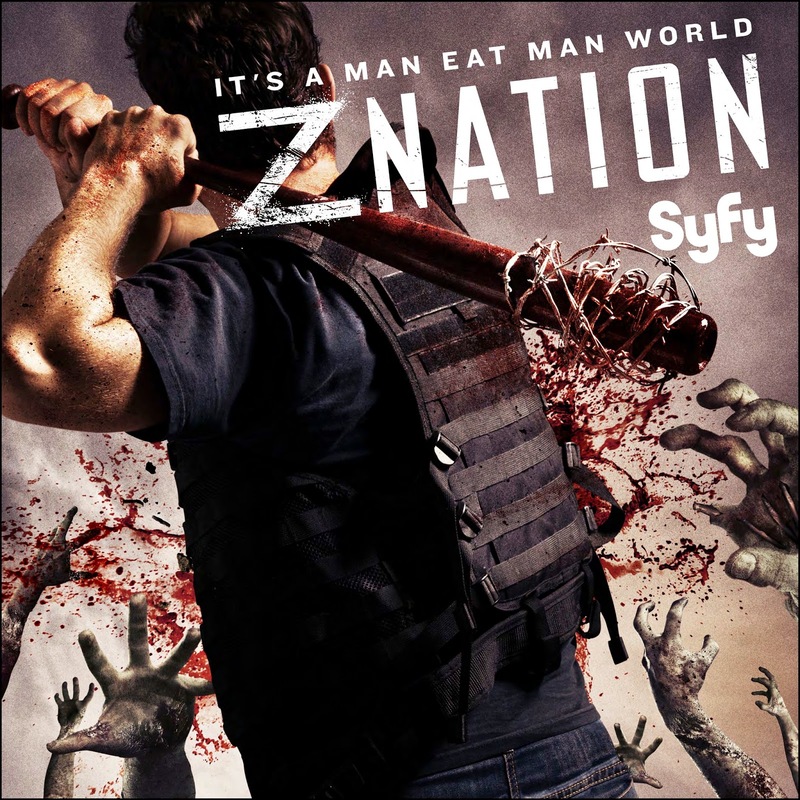 The show I'm talking about is the show Z Nation from the Syfy channel (now on Netlfix). A Walking Dead-style zombie apolocalypse show made by The Asylum, the creators of none other than the Sharknado movies. So I decide to watch it and am thinking: "Of course this show is going to be awful, right? As a guy who loves The Walking Dead, I can't wait to see some crappy-looking zombies get smashed in this B-level spin-off and make fun of it." Wait, no, holy crap! Its actually good! How is that even possible? In this second decade of the 2000 ADs I've come to look forward to those special events that happen a few times a year. An event that promises new discoveries and relationship-building opportunities. That event is, of course, when Netflix has a bunch of new horror movie releases I can watch and haughtily judge from my couch as if I knew anything about making movies. 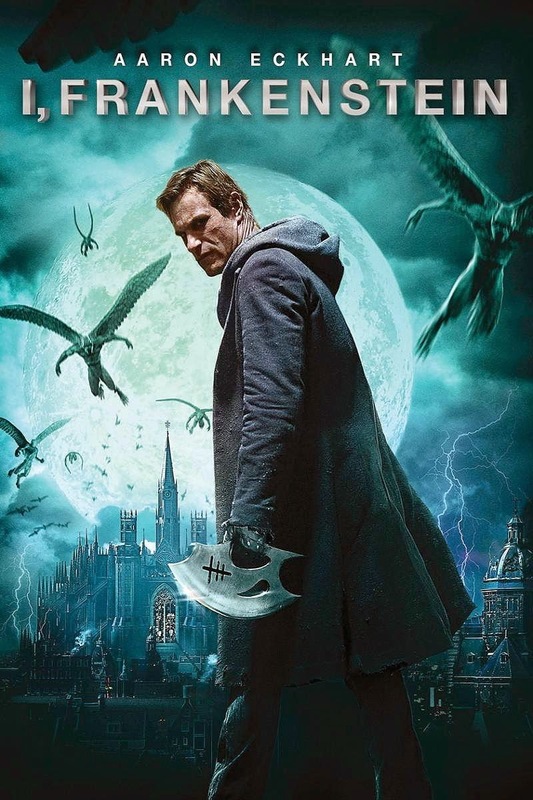 Today I will be reviewing the barely anticipated action movie starring Aaron Eckhart: I, Frankenstein. I know you see it there at the top of your giant Netflix crawl and are wondering, "Is it any good? Its got that guy from Thank You For Smoking, and he's pretty good. So regardless of its really weird box cover art its probably pretty good, right?" Well, take it from a complete stranger: Is the movie any good? 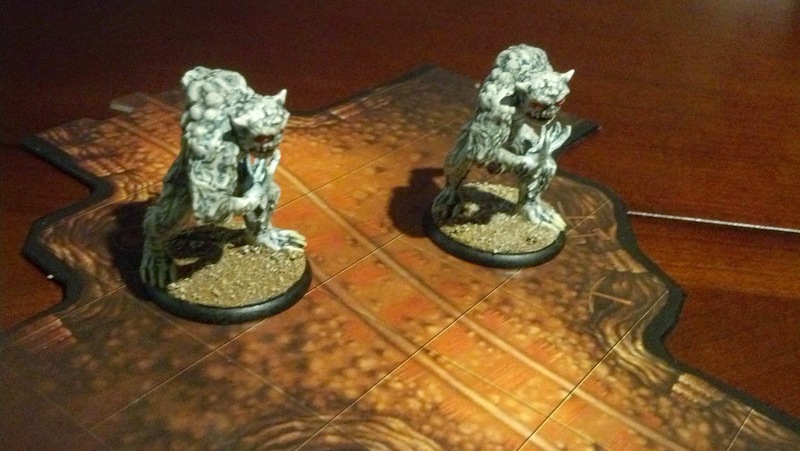 Now that I've gotten all my Shadows of Brimstone figs painted, we're actually back to playing the game again. For our opening game back at the table we decided to create brand new characters and randomly roll the mission. Interestingly, we ended up fighting both big boss monsters, the Harbinger and the Goliath, in the same game. I figured I'd post some pics and a quick write-up of that game for fans of the Brimstone. No foray into the Old West is complete without some Templeton Rye. Its happening. Nerdyness is becoming mainstream. There was a time not so long ago when even playing boardgames was considered either childish or geeky. Especially complex boardgames, which were viewed with suspicion by all red-blooded American sports bros. Now we have NFL players admitting to the press that they regularly play games of Settlers of Catan in the locker room. 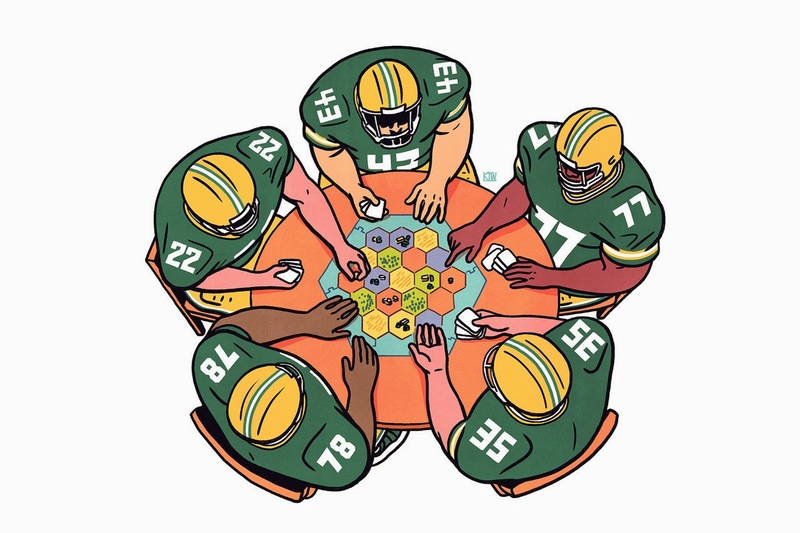 Not only that, but as those players play for the best* NFL team in America, and as true nerds, those Catan games are hyper-competitive. One thing that I think really pulls a miniature together that is often overlooked is a good but simple base. If a miniature is beautifully painted but has a bare black base, it will remind the viewer that its just a simple plastic miniature and pull them out of the game. 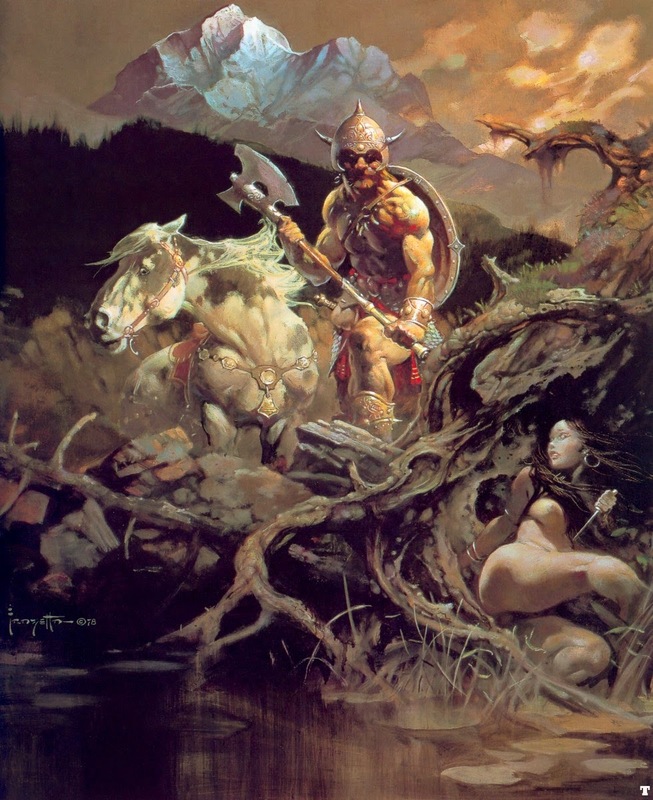 Similarly, I think that if a miniature base is full of little knick-knacks and skulls and broken swords and bodies and what-have-you and is overly complex, then it takes away from the miniature itself. Also I'm a pretty lazy hobbyist, so I like to base my minis simply. Here's how I base my miniatures for the Flying Frog Cowboys vs. Cthulhu game Shadows of Brimstone. Since 90%+ of the games occur in an Old West Mine, I decided make just a simple rocky base for all the minis. I know its been a while since I've talked Shadows of Brimstone, but that's just because I was trying to finish painting all the minis (using only the official Shadows of Brimstone paint sets) before playing again. However it was a LOT more work than I realized when I started, so it has been slower going than I originally anticipated. Especially since I only paint on the weekends. With that in mind I decided to just shift it into overdrive and speed-paint all the remaining guys. But that's not what this post is about, this is about fixing glaring past mistakes, or, as I like to call it, "What the hell did Past Cory screw me over with this time?" So I've decided to go with the multiple-versions-of-Marty route for my Back to the Future RPG game. 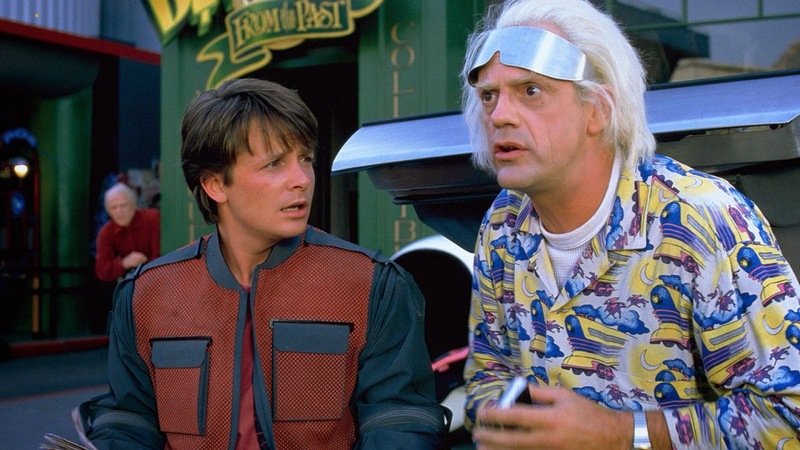 The reason being that I think it'll make for a really fun opportunity for players to all be Marty Mcfly, but have different abilities that are emphasized (and costumes, of course). The explanation for multiple Martys I'm still working on, but is going to involve a lot of technobabble and bad science, you can be sure. Essentially I'm going to say that, due to a quantum flux microcosm singularity, all the Martys that have ever traveled through time will come into individual existence at the same moment in New Time(tm). And will have to work together to find a way to fix things. Back to the Future RPG I - What Characters to Use? 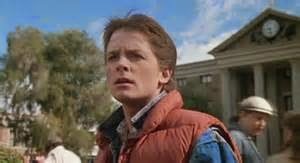 So its 2015, year that the Cubs win the World Series and Griff runs his PitBull powered hoverboard into the Hill Valley Clock Tower. That's right, its the year of Back to the Future II! I have an annual convention each March and always have some sort of themed game built and run for a select few attendees. This year it makes perfect sense to run a game based on Back to the Future, but I'm already behind on planning and building so I've got to kick it into gear. In the next couple months I need to create, build, and run a single-shot rpg (with props/terrain) based on Back to the Future. I figure for rules I'll just use the newest 5th edition D&D rules, just to have that decision made and move on.